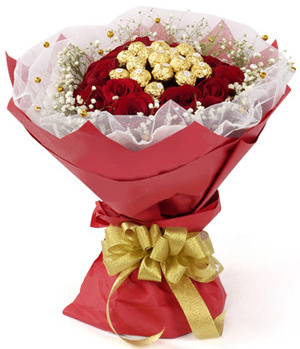 21 red roses with baby's breath, 16 kinder chocolates,beautiful red round paper and golden ribbon. 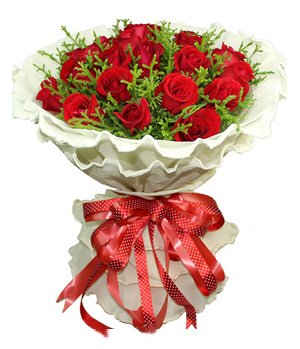 If you order flowers we will add more matching flowers and use more high quality package. If you order gift we will use more high quality package material. 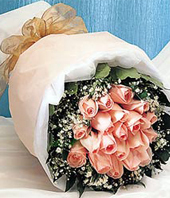 It will make the flowers or gifts more beautiful. But you need pay more US$5. You may have interest on them. Very fast delivering. I have ordered the flowers at night and in the mourning it was delivered. The recipient was happy surprised. 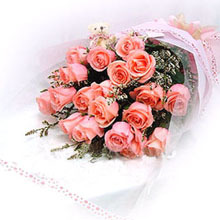 I haver ordered "Pink Valentine" Product ID: 1141. On photo my girlfriend have sent me, the flowers were exactly the same as on picture on the site. Great service. Mark, Moscow. 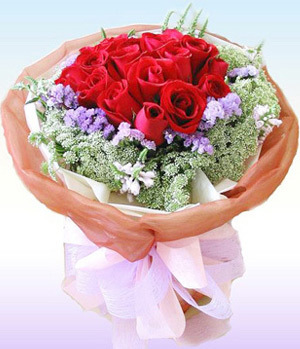 We guarantee flowers in fresh and service in good quality. If not or we are not able to deliver to the recipient's place we will return 100% money back. 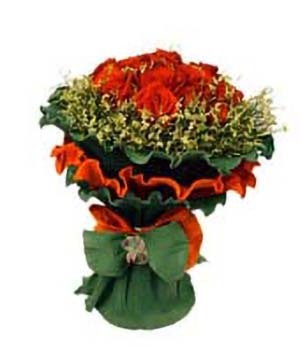 For season and area reason if we have to change the main flower we will inquire the customer. 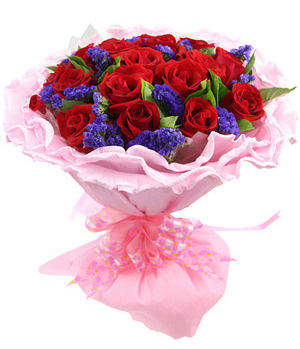 If we do not get response in time we will replace with flowers at same meaning and price. The price has included the delivery fee in city. If the recipient isn't in city, more US$5~20 will be needed as delivery fee. We support same day delivery in most place. In non-holiday you can order the delivery time. We can deliver to the recipient as quickly as in three hours.In holiday and festival we only can guarantee delivery in the day. About Product Substitution Policy please visit here. Copyright © 2007-2018 ChinaFlower214. All Rights Reserved.